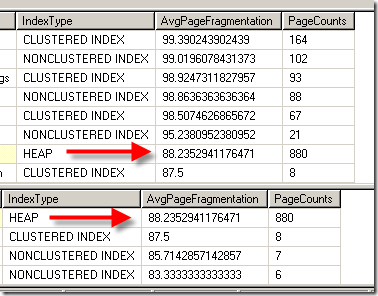 I found this gem while looking at a database that needed all indexes rebuilt. 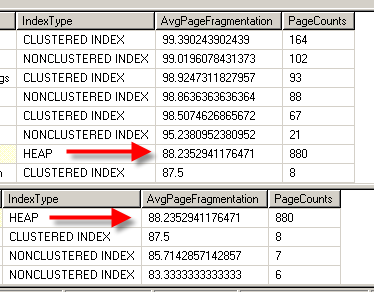 Notice how we have items that are at 99% fragmentation and how they are gone once we run this rebuild. Or put the Ayende way, send me a patch!